1. Each servant was given talents of gold according to his ability. 2. What was the result for the man with five bags of gold and the man with two bags? a) They lost half of their investments. b) They both doubled what they had been given. 3. What did the man who had received one bag of gold do with it? a) He dug a hole in the ground and hid the money. b) He invested it wisely. 4. 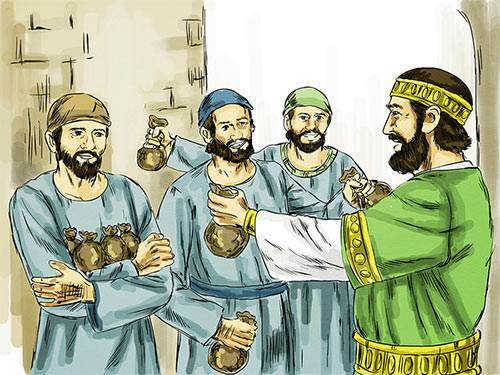 What was the reward for the two faithful servants? a) They were given more gold. b) They were put in charge of many things. 5. What did the master call the man who did nothing with his talent of gold? b) A wicked, lazy servant.